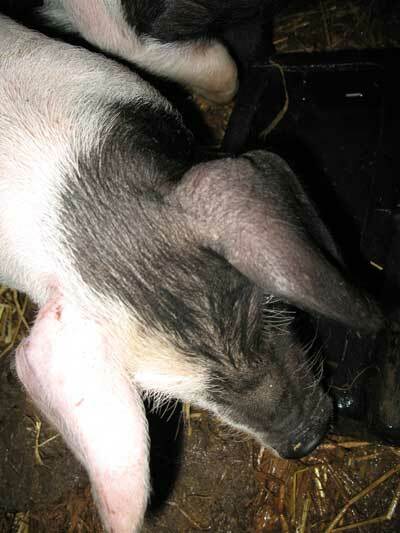 One of my Saddleback piglets has one pink ear and one black ear which I have never seen before in my Saddleback piglets. 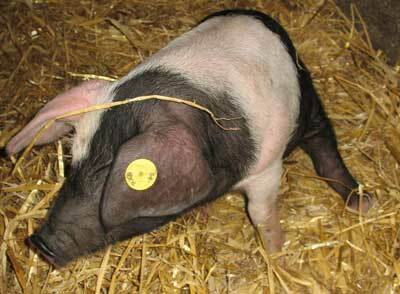 I have named this piglet Patch as the pink covers some of his eye as well as his ear. Patch is turning into an inquisitive and friendly piglet. 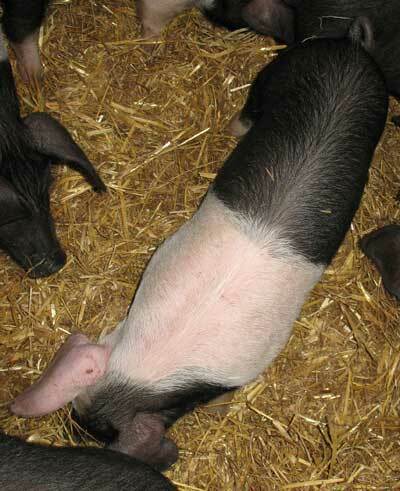 Do you have any piglets with strange or unusual markings? What a cute pig Patch is. I love the one pink ear.